The topics listed below represent some of the areas of expertise in speaking, coaching, training and teaching. If you would like to discuss a specific need or topic, feel free to contact us at 205-451-1945 or fill out the form at the bottom. In order to reach your potential, you must be intentional about personal growth. This will help you understand how growth really works, and how you can develop yourself to become a more effective and fulfilled individual. You will learn how to build up your sense of purpose and become more successful in every area of your life. Connecting increases your influence in every situation and is a major factor in reaching your full potential. Learn how to identify with people and relate to others in a way that increases your influence with them. To be successful, learn to communicate in a way that connects with others. People who connect with others have better relationships, experience less conflict, and get more things done than those who cannot connect. Leaders who have learned the art of connection are able to communicate their ideas persuasively, establishing buy-in and attracting followers. Learn the 5 principles and 5 practices that will help you succeed. Make an impact through the foundational principles of how leadership affects every area of your professional and personal life. Leadership Gold offers 26 of the best of the best, the tried-and-true lessons to excel in leadership development. Become a leader of significance and create a lasting impact. Few people are successful unless a lot of people want them to be. We honor great leaders, and we have the tendency to assume their accomplishments came about regardless of the assistance they received from others. The truth is that no leader would be great without the support and help of teammates. You will never get ahead until your people are behind you. Success is not a destination. It is a process – a lifelong strategy of building on strengths, minimizing weaknesses and focusing on the people and points of life that are most important. It is a rather simple recipe yet requires awareness, study, practice and mentoring to achieve it. Success is: knowing your purpose in life; growing to your maximum potential; sowing the seeds that benefit others. To Become a REAL Success—it is imperative to relate to others better as you understand relational rules. Adding value to people helps to reach their full potential. Recognizing and building on the leadership potential in those around you and equip them with the proper skill sets. Improve your attitude through daily practices, understanding the affect your attitude has on you and those around you, and adopt an attitude that makes challenges easier to overcome is key to your success. Improve your leadership skills with a thorough understanding of how influence is the catalyst to forming great leaders. Everyone influences others. You don’t have to be in a high-profile occupation to be an influencer; whenever your life connects with another person, you exert influence. No matter what your goals are in life, you can achieve them faster, you can be more effective and the contribution you make can be longer lasting if you learn to develop your influence. Increase your impact by learning insightful, impactful ways to interact more positively with others. How do you make your dreams come true? Your dream has power. It can inspire you. It can empower you. But will it reward you? Most people fail to realize their potential because their dream remains hypothetical. Take your dream from ethereal to achievable. You will be walked through a step-by-step action plan to crystallize your vision and galvanize your commitment and empower your life. Have you reached your full potential and are you living your dream? Bullying, failure, low self-image and poor character decisions are at the heart of many of the challenges facing young people today. It’s time to do something about it. YouthMAX is a youth leadership curriculum, designed to give today’s young people practical tools and ideas to help them navigate life. Stand Up and Be Counted – Learn positive attitudes and actions that will help stop bullying and lift others up. Developing a Positive Self-Image – Understand and apply key ways to develop and maintain a positive self-image. Developing Strong Personal Character – Learn what it takes to develop strong and effective personal character. Learning to Fail Forward to Success – Learn powerful ways to look at failure and use life’s failures to build success. Life’s greatest lessons are gained from our losses. Any setback can be a setup for a leap forward. Every negative event can become a great learning opportunity. Sometimes You Win, Sometimes You Learn provides a roadmap for becoming a true learner, someone who wins in the face of problems, failures, and losses. Learn how to have a more fulfilling life of abundance. Any setback – a championship loss, a bad grade, a botched audition – can be seen as a step forward when teens possess the right tools to turn that loss into a gain of knowledge. Sometimes You Win, Sometimes You Learn provides a roadmap for becoming a true learner, someone who wins in the face of problems, failures, and losses. Learn. Live. Lead. Learn the fundamental laws of leadership and use them as your foundation to live a life of significance. Learn to influence others and lead on a higher level. Don’t let someone else write your story. Write your own life story. Successful people all have in common one thing that others’ don’t. They are very intentional about their choices and how they live life. Choose a life that matters and learn to live a life of significance. Those closest to you will determine the success level that you achieve. It’s not enough for a leader to have vision, energy, drive, and conviction. If you want to see your dream come to fruition, you must learn how to develop the leaders around you. Developing other leaders is essential to making a lasting impact. Learn how to develop and equip other leaders to help achieve your vision. Most of us look at our days in the wrong way: We exaggerate yesterday. We overestimate tomorrow. We underestimate today. The truth is that the most important day you will ever experience is today. Today is the key to your success. Learn the 12 decisions and disciplines, the daily dozen, which can be learned and mastered by any person to achieve success. Master the art of asking questions, using them to learn and grow, connect with people, challenge yourself, improve your team, and develop better ideas. Questions can change your life. Learn how they can change your life, why questions are so important, what questions you should ask yourself as a leader, and what questions you should be asking your team. Every day people ask how they can make their world better. They want to know what they can do to improve their career, their business, their family, neighborhood or community. Ghandi said, “become the change you want to see in the world.” If I want the world to be a better place, I need to become a better person. I do that by becoming intentional in my growth. After we improve ourselves, we are put in a place where we can add value to others. How do you change the world? Transformation starts in you. What does a 20 year crusade to interview the 500 wealthiest people in history uncover? It uncovers 13 principles of achievement that have led to success by many over the past 100 years. Think and Grow Rich has been a bestselling book for years. But not everyone that buys it gets rich! The book is packed with great information, but it is the application of this information that really makes the difference. Learn how to apply the principles in your life and achieve wealth in many areas of your life. It is impossible to sustain growth over the long term unless you equip others. Effective leaders do four things: they cast vision, create culture, develop systems, and equip leaders. While all 4 of those things are challenging, equipping leaders is certainly more “art” than “science.” How can we develop our leadership team to our greatest potential? Learn the 14 timeless principles every leader needs for equipping their people to achieve consistent and sustained growth. 80% of people don’t meet expectations. 15% meet expectations. Only 5% exceed expectations. The 5% is where the greatest return is. The expectations you exceed today become the seed for new opportunities in the future. It is rare for anyone to exceed expectations unless they do it on purpose. Learn how to exceed expectations in every area of life and business and achieve greatness. Do you want to achieve financial success? Why is it that some people seem to have an easy time with their finances whereas others seem to struggle through life? Is it magic? Are they just lucky? The answer is relatively simple. There are 13 areas you need to know about your financial life that will make or break you. Learn these 13 areas and how to apply them every day in your life and reduce the stress. No more struggles over money. No more arguments. No more wondering what to do with your money to get the best use of your hard-earned dollar. You can also check out our online version here. Have you ever wondered what’s the difference between people who are super successful and those that aren’t? What would it be like if you accomplished all your dreams? What do those who are super successful know that you don’t? Anyone who accomplishes anything worthwhile has consciously or unknowingly followed through on a system of achievement that has been used for centuries to achieve success. Learn the 7-step process to achievement that has been proven to help you achieve all your dreams. You can also check out our online version here. Do you get overwhelmed when thinking about what steps to take to grow your business? Do you feel frustrated by all there is to do, but not know where to start? One of the problems many business owners face is they spend all their time working in the business and not working on the business. How do you build the business? What do you do next? What are you missing? Get a weekly, bite-sized step-by-step action plan help you move forward in your business starting today. You can also check out our online version here. Is your business setup properly? Is it geared for success? 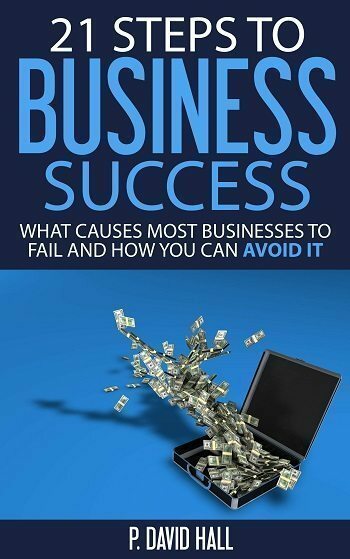 Over the past 23 years and helping over 450 businesses, we have found that most businesses that struggle do so because they missed something in the structure of the business. Learn the most common steps missed and how you can avoid the struggle. Most often, our relationships suffer because our needs aren’t being met. We all have 6 core needs that have to be met for us to feel good about ourselves and our relationships. Learn why it is that some people go down the wrong path in life, what you need in order to feel happy and fulfilled and how to immediately start improving the quality of all your relationships. Learning these 6 needs will help catapult your relationships to new heights. Does your credit need a tune-up? Today, credit is more important than ever. It’s no longer used just to borrow money. Many employers, apartment complexes and insurance companies check your credit to determine prices. Bad or no credit could be costing you thousands of dollars. Learn how to build or rebuild your credit and protect it in the future. Based on the best-selling book, Amazing Credit, you’ll learn everything you need to know about credit and how it works. Got debt? Get rid of it. Get rid of it the right way. Learn how to get out of debt the quickest and most efficient way possible while saving thousands of dollars in the meantime. Don’t just get out of debt. Learn what you need to do to stay out of debt. Learn practical tips on how to negotiate with your creditors, payoff your debt in record time, reduce interest rates and get that stress out of your life. The Golden Rule says “treat people like you want to be treated.” The problem is that, more often than not, people don’t want to be treated how you do. The Platinum Rule says “treat people how they want to be treated.” Learn how to identify quickly the different personality types and how you can quickly communicate on their level. Deepen relationships, learn to bring the best out of your customers and employees and close deals like never before. The sales industry as a whole has a measly 10% closing ration on average. Most salespeople use ineffective sales and presentation methods that lead to low closing ratios. Learn about both “sales brains” and what you need to do to maximize your sales and achieve ultimate sales success.